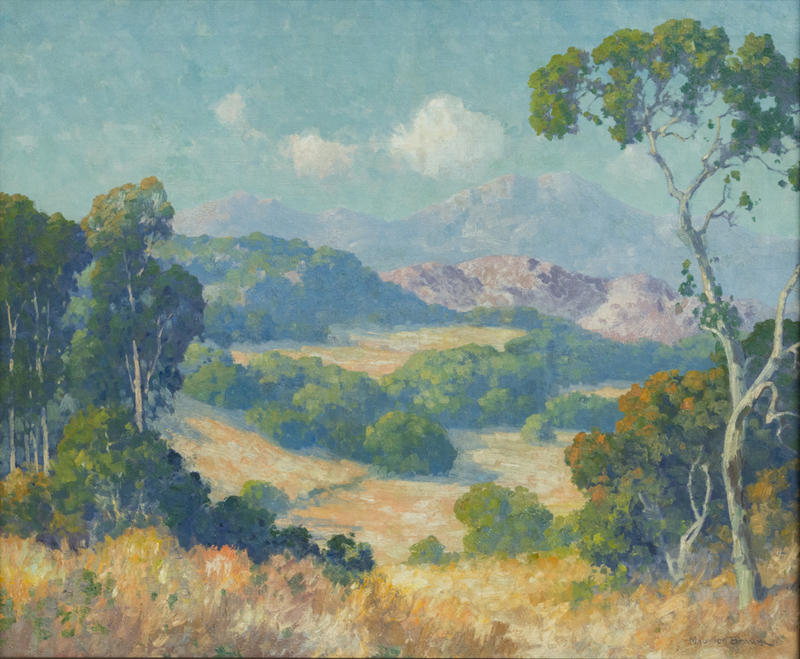 I have some excellent new material in the shop, starting with this lovely 25 x 30″ Maurice Braun (1877-1941) landscape of the San Diego back country. I actually featured this painting in the 2003 Native Palette The early painters of San Diego show that I produced with Michael Johnson and Gary Lang in Fallbrook. I haven’t had a Braun of this quality for quite some time. It is a nice palette, not the over sweet spring colors but more mature brown, yellow and coral mixed in as well. Even a bit of lavender. I also obtained this excellent Thomas Hart Benton (1889-1975) print recently, The Boy. 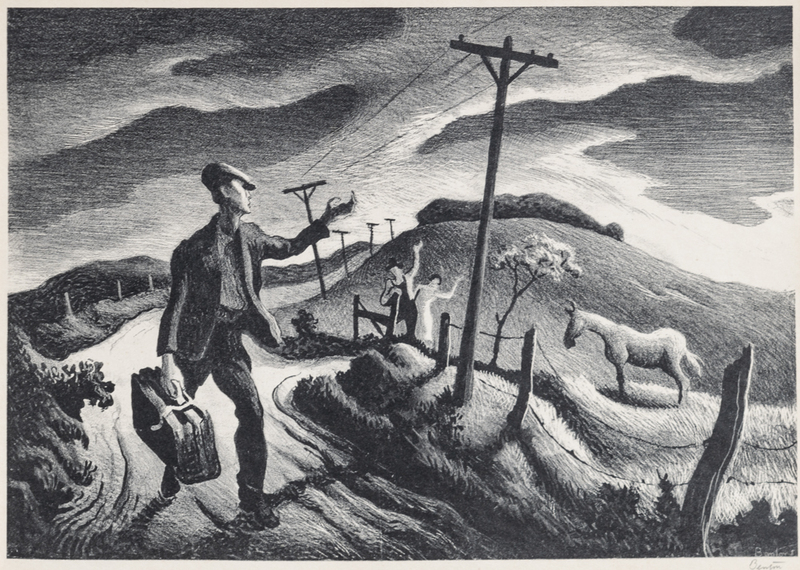 This regionalist lithograph was pulled in 1948 and depicts a young Ozark man leaving his family and horse to make his way in the world. A wonderful strong impression, pencil signed, with full margins and no issues. Out of an edition of 250. I haven’t had a good Benton for a year or two and I was due. 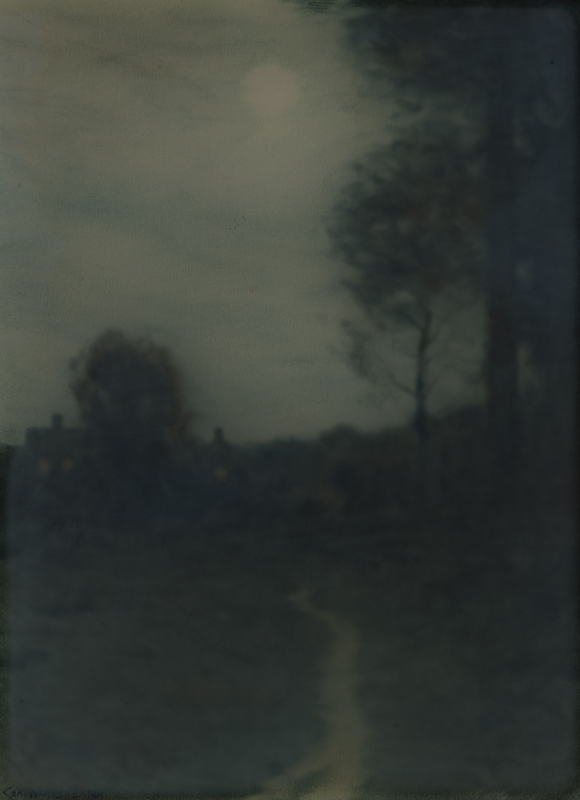 Fans of tonalism might love this watercolor by the great New York artist Charles Warren Eaton (1857-1937). One of two excellent Eatons that I obtained this month. This moody nocturnal measures 16 x 11 and is nicely framed behind glass. 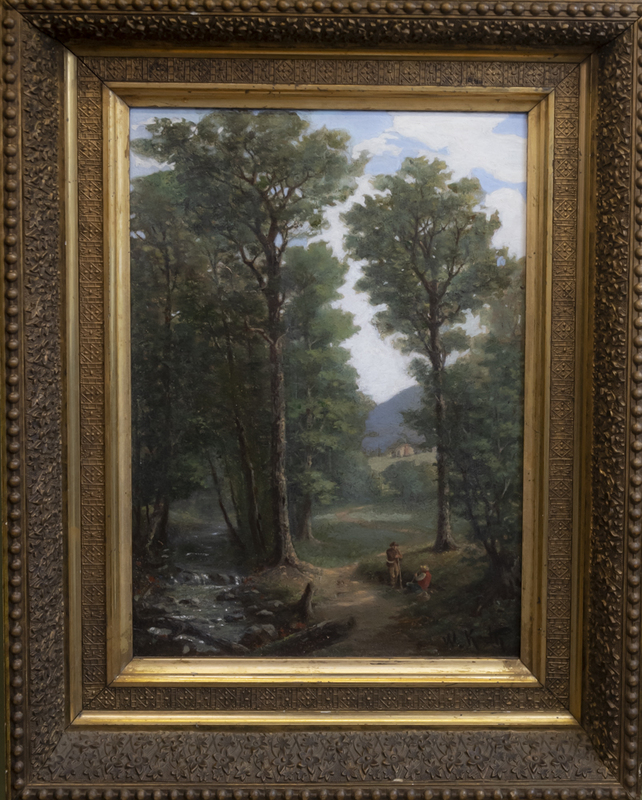 I am also offering this fresh and early William Keith (1838-1911) oil on board. It measures 14 x 10″. Keith was the most lauded painter in California for much of the 19th century. 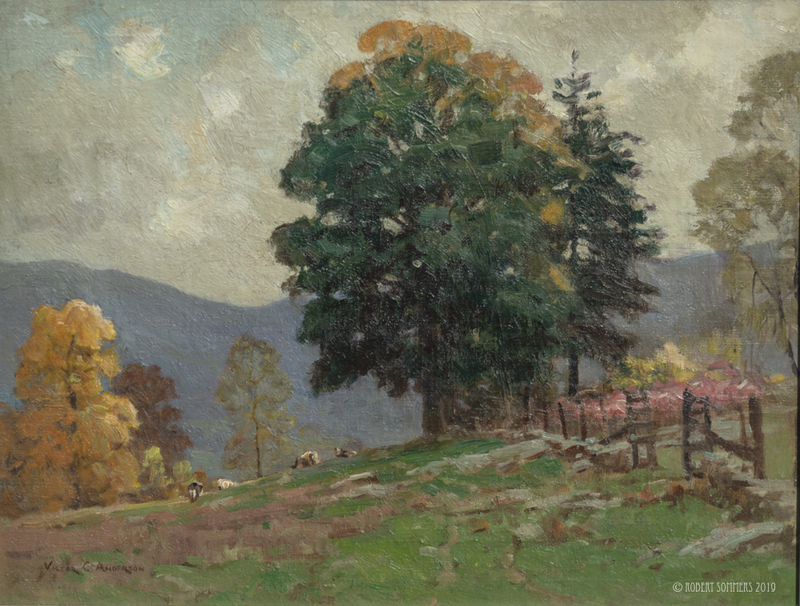 Originally from Scotland, he is referred to as the Dean of California painters. This painting is unusual in that it has multiple figural portrait studies on the verso. Lovely period molding. 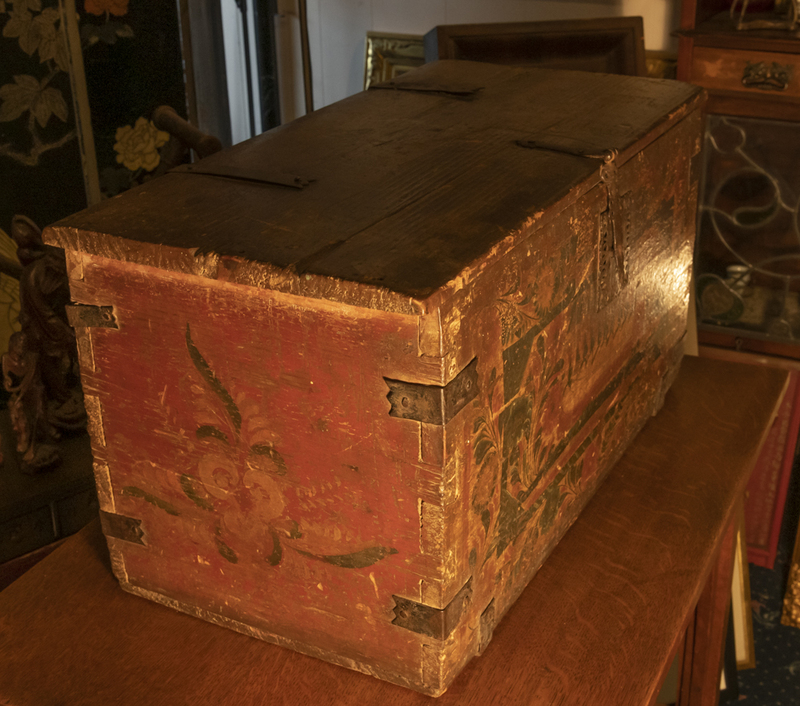 Fans of the Spanish Colonial era will appreciate this large and beautiful wooden box or trunk. 28 x 14 x 15″. 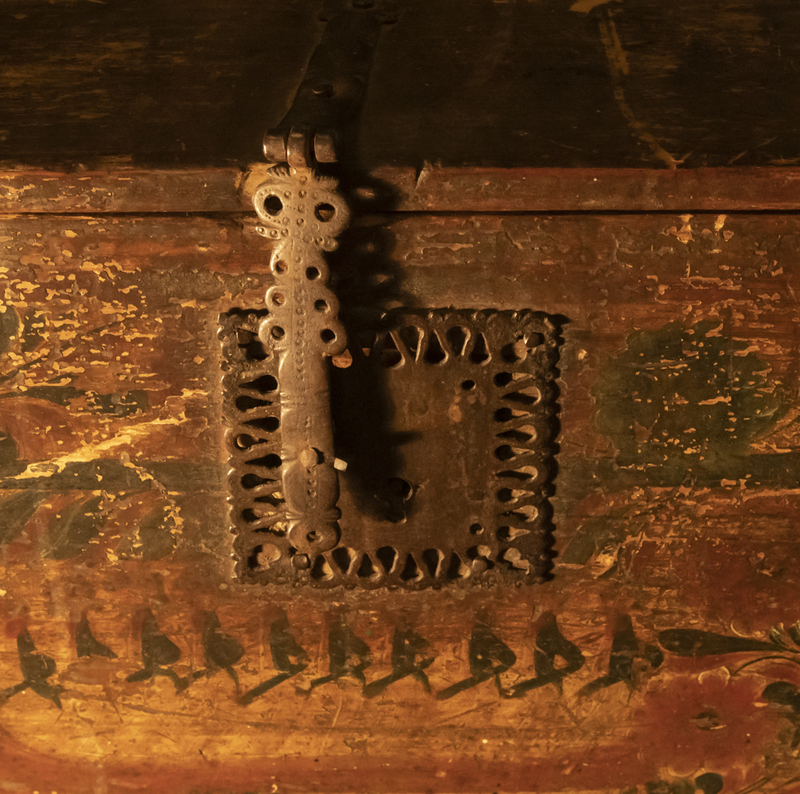 My expert friends in Santa Barbara and Santa Fe tell me that it is circa 1820, from Michoacan. Interestingly, it is signed Carrizozo under the lid and may have made its nascent way to New Mexico as that is the name of a town in New Mexico. beautiful paint and iron. 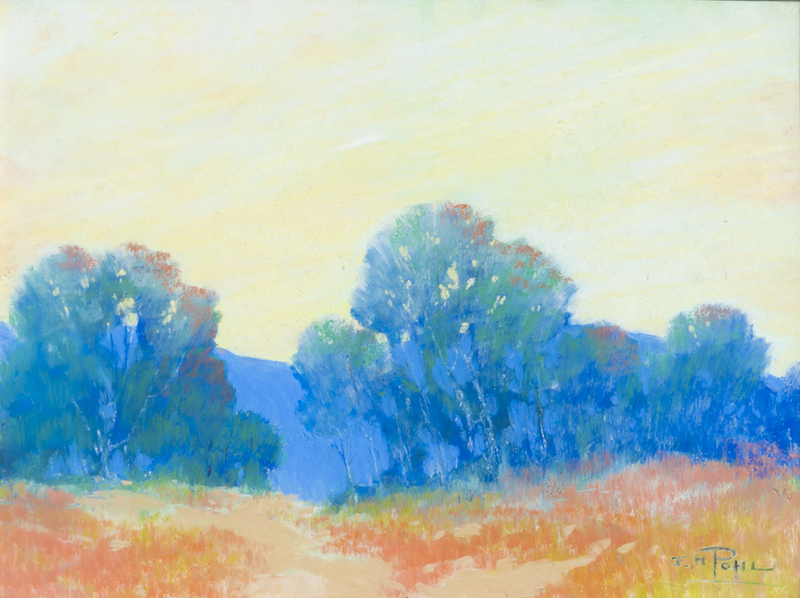 And finally, a nice little pastel by E.H. Pohl (1874-1956) , one of the finest artists of the medium, in San Diego or anywhere else. I definitely have more but that is all for now! You can actually walk through the shop right now. I am usually open Saturdays. Please call ahead.